Here's part 2 of my Tulip One Step Tie Dye tryout. I made a dip-dye necklace of my own invention. I presoaked the necklaces in water and then just squirted some blue dye on one end. The dye wicked up the necklaces more than I imagined it would. 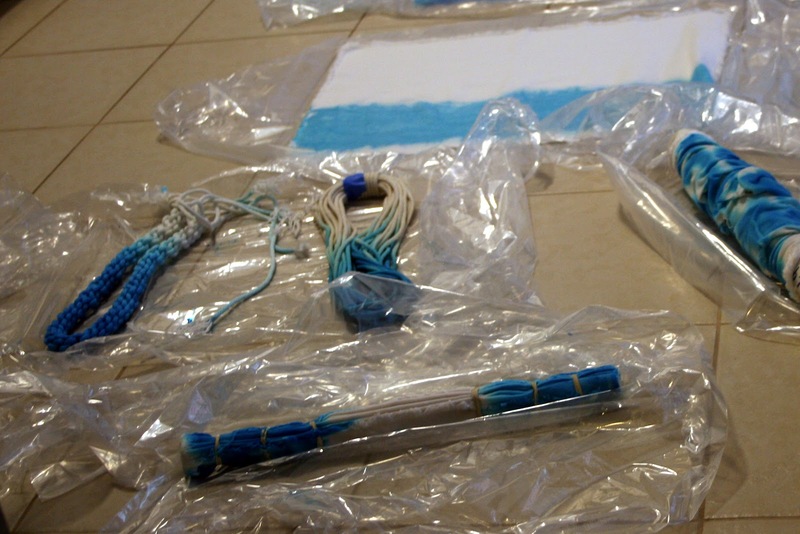 As you can sort-of tell, the cotton cord held the turquoise dye better and created a more intense shade of blue. However, the poly didn't do so bad either. If I were to do it again, I would soak only the bottom bit of the necklace in water. I haven't figured out what to do with the macrame necklace yet or whether the whole concept would be better as a bracelet. Any thoughts on that? I"ve already worn the wrap necklace a couple of times. It's a very summery item. Should I make more? Still debating this. Regardless, the dye was ridiculously easy to use. 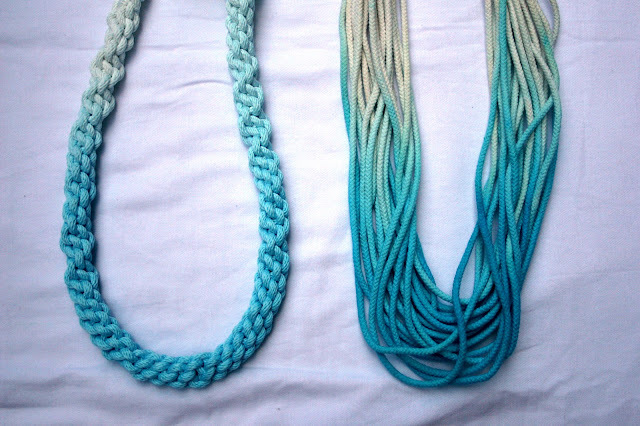 With planning, you could whip out a dozen necklaces in 10 minutes. Tulip's One Step Tie-Dye kits are available at Walmart, Walmart Canada, Michaels, JoAnn, A.C. Moore, Hobby Lobby, Hancock Fabrics, and Meijer. Different types of kits have different colors. You can buy one-color refills for about $4, which I'm thinking about doing since I'm on this blue kick lately. I love the result of both necklaces. I've been wanting to try a macrame necklace, and am very inspired by yours! Thanks. 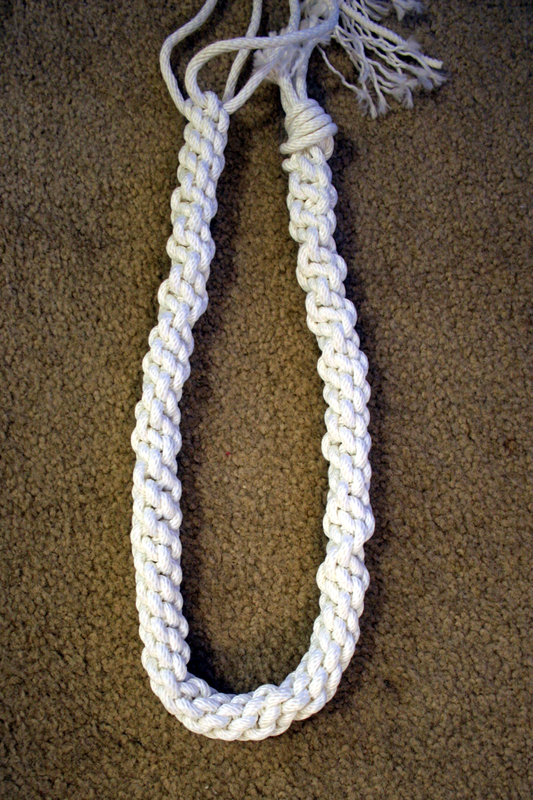 It's an easy knot - lanyard - although a bit time consuming. 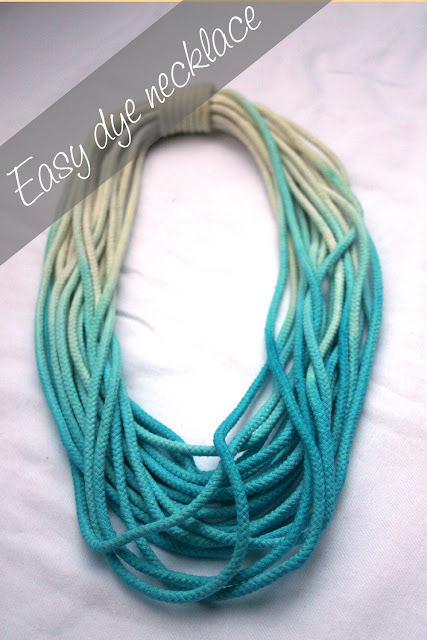 I love the wrap necklace--it's such a modern, grown-up option for tie dye! Thanks much. Super easy. 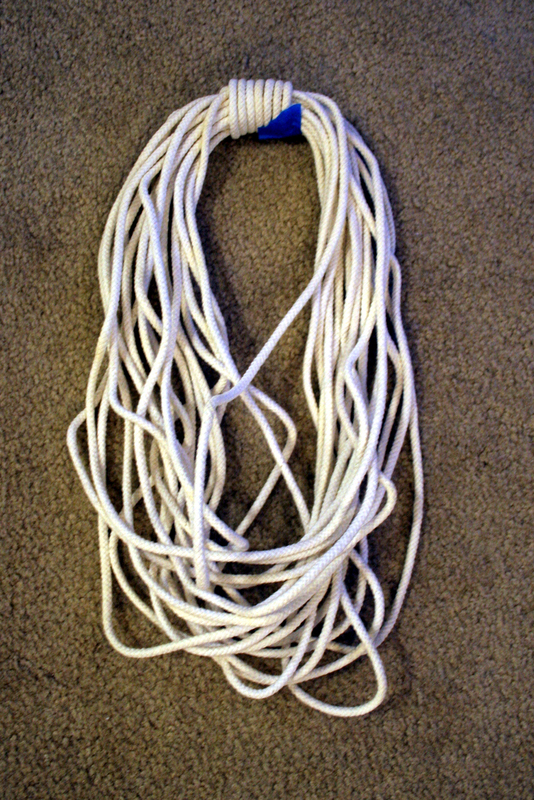 Wrap a laundry rope hand to elbow like you would wrap up an extension cord. i like them both! turquoise is the best color for summer!!! I think they are both pretty - the photos of them make them look very striking! I would be interested to see how you style them. Oh, I am ALL over this idea! 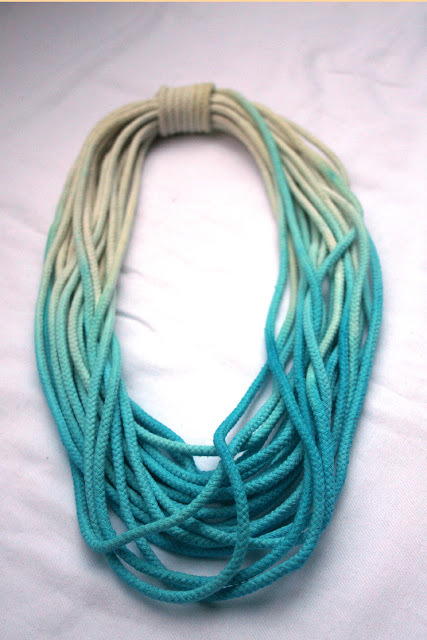 Recently I was thinking that I needed a fun new summer necklace and this project fits the bill. O-WOW- this looks fantastic. I always love what you come up with !!!! Very cool. I pinned this. I love both necklaces. Especially the macrame one. I was thinking of tie dying a tee with my daughter and am going to be purchasing either Tulip or Rit. This is an awesome diy! I actually tried it and posted it on my blog, check it out! Oooooh, ombre! And so summery too! I'm in the middle of a dying project right now and I am intrigued by this Tulip One Step Dye (I'm using Rit). Might just be worth a trip to Wal-Mart. Anyway, either of these necklaces would be perfect with a black maxi dress. I agree with Heather, you should do a post on how you style them! Thanks. It's easier taking pictures of product than pictures of self but maybe I can impress Mr. Bromeliad into service. Interesting, verrry interesting idea! I love it! I love it!!! Especially the simple one (without the knots). Could you tell me, where I can find rope like this? (I'm from Germany but live in the US. But I don't know where to find stuff like this, especially out of cotton). 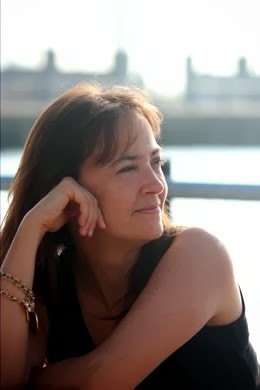 It would be great if you could help me with this and send me an email (keller_andrea@gmx.de). Thanks!!! It's plain old laundry rope. You can get it at Walmart, Amazon,e tc. How do you fasten off the rope?? On the simple one? I hid the ends of the ropes by wrapping a small piece of rope several times at the top of the necklace. You can see it in the top of the last photo. Hope this helps. Let me know if I can explain it better.